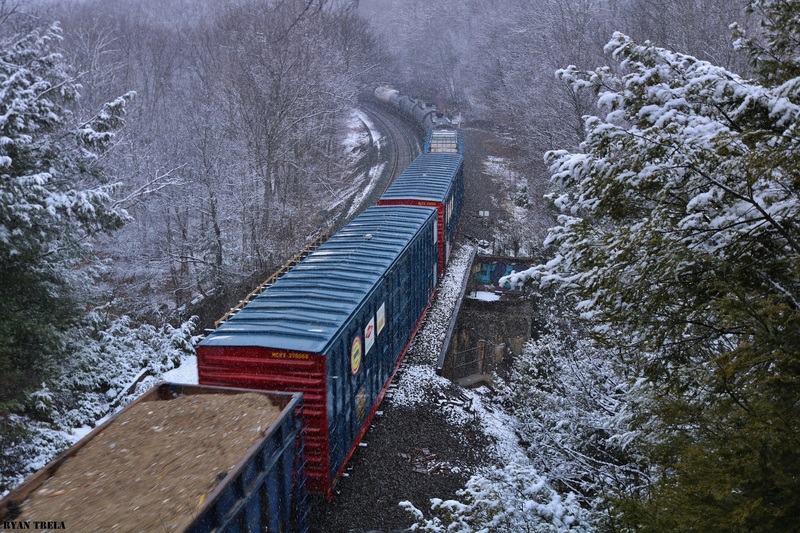 CSX "DOW" Safety Train cars head west in Middlefield mixed in with other freight cars . Photographed by Ryan Trela, April 10, 2018. Added to the photo archive by Ryan Trela, August 7, 2018.